Since 1997, JONES is committed to providing innovative solutions to tackle electronics’ complicated reliability issues under the harshest of operation conditions. Jones is deeply cultivated in research and development , with a broad product portfolio which includes EMI/IP protection materials, thermal management materials, and licensed synthetic graphite.  JONES has become a preferred solution provider to customers in telecom, smart medical, precision machinery, new energy, consumer electronics, and many other niche markets. At the beginning of designing smart phones, tablets, VRs, laptops, unmanned aerial vehicles and other consumer products, the pursuit of speed, lightness and thinness is an eternal goal. With the application of advanced technologies such as big data computing and high-definition image processing, more thermal management issues and EMC shielding issues have arose. JONES provides integrated thermal management, EMC shielding and earthing materials for this type of products to ensure the safe and reliable operation of electrical appliances and sensitive electronic components and ultimately improve user experience. Smart TVs, smart speakers, TV sticks, set-top boxes, wireless data communication devices and video game devices make our life colorful in the environment. However, there are strict thermal management and harsh EMC requirements showed behind these smart devices. Based on these requirements, JONES provides integrated thermal design and EMC solutions for these smart home products. From thermal simulation to various heat-conducting, heat sharing and thermal storage materials to various shielding and wave-absorbing products developed for high-frequency and thin-walled materials, these produces provided can effectively improve the reliability and safety of smart home products. With the approaching commercialization of 5G communication networks, the operating frequency of communication equipment has reached the range of 6GHz-40GHz. Such high operating frequency brings new requirements to design engineers for shielding design and thermal management. Meanwhile, the basic hardware products in the communication equipment manufacturing industry present the development trends to high speed, compactness, lightweight and manufacturing automation. These changes and requirements make increasingly higher heat dissipation requirements and EMC requirements for telecommunication equipment. JONES has accumulated a great deal of successful experience in the telecom industry, so as to create a full range of products for the industrial customers in the field of thermal management materials and EMC. The use of shielding and filtering technology for RRU mobile communication base stations, RF filters, high-end routers, high-speed optical modules and other devices greatly solves EMC interference problem in equipment or system. The customized and developed wave filter parts, ultra-soft FIP ​​points rubber, special conductive sealing materials, wave absorbing materials, waterproof breathable valves and other products provide excellent solutions for equipment that to adapt various complex electromagnetic environments. The thermal gel developed by application of high-end thermal management materials can meet the needs of production automation. In addition, the thermal pad, thermal grease, synthetic graphite sheet and PCM with high thermal conductivity can meet the requirements for high heat dissipation. Automobile will no longer be a simple travel tool, but will become an integral part of the smart city In the foreseeable future. Moreover, new energy vehicles will also become the mainstream in the future. Intelligent automotive electronic system will also be an important guarantee for improving the safety, comfort, economy and entertainment of cars. At the same time, as the automotive electronic system will carry more data communications and intelligent control terminals, higher requirements are placed on safety and reliability. JONES has mature thermal management material solutions and optimized EMC electromagnetic rectification programs in power battery pack, motor controlling unit (MCU), onboard power supplies, onboard displays and other entertainment systems as well as vehicle controllers of pure electric vehicles. JONES will provide solutions involving thermal conduction, heat sharing, thermal storage, wave filter, shielding, earthing, sealing, shock absorption and other series of products to help customers solve the problems related to safety and reliability of automotive electronic products. With the development trend of digitization, intelligence and miniaturization, some wearable medical monitoring products have come out. Such wearable products can monitor different physiological indicators of human body in real time and provide good data reference for preventing sudden illness or body health. However, these wearable products often have special requirements for heat conduction, shielding and packaging. Meanwhile, the requirement for image definition of diagnostic equipment such as MR, CT and X-ray machines is increasingly higher, which prompts medical equipment manufacturers to choose high-speed chips and high-power devices. In this case, it further leads to EMC and thermal design of these diagnostic devices requiring continuous improvement in performance to meet the increasing interference and excess heat energy. JONES has completed a large number of EMC rectification experiences and thermal design projects in cooperation with internationally renowned medical equipment companies. This has enabled our company to accumulate rich experience in thermal management, shielding, earthing and wave filter of medical equipment, so that our company can systematically solve customer's problems related to EMC and heat dissipation. With the advent of Industry 4.0, the degree of intelligence in the industrial field has gradually increased and high-speed computing equipment such as robots, remote control systems, Internet of Things and data centers are increasingly being used in the field of industrial automation. A large number of data exchanges and operations are accompanied by high heat, which will cause the equipment to run slower or even being burned out, greatly reducing the reliability of equipment. At the same time, the harsh environment of industrial site also makes these products meet higher standards in EMC performance and thermal management performance and meet environmental requirements. The high-end thermal management materials and shielding materials independently developed by JONES can effectively solve the reliability and electromagnetic compatibility of equipment in harsh working environments. In the new energy power generation, variable frequency drive and power industry, system may occur intractable heat dissipation and EMC problems due to the conversion using high energy and high power. The 25-year lifetime requirement makes exceptionally high reliability requirements for the selected thermal materials. In response to this feature, JONES cooperates with well-known international companies to develop custom-made low-density graphite materials, which will provide proper solutions for better reliability, longer life and Low thermal resistance. In addition, large-scale energy changes also cause greater electromagnetic interference, which will affect the work of other electrical equipment in the power grid. Therefore, JONES's filter materials, shielding materials, waterproof breathable valves and other sealing materials are developed for new energy industry to ensure that the system passes the standard tests of conducted emissions and radiated emissions and meets international/domestic electromagnetic compatibility standards. The technologies such as high-speed communication networks, cloud technology and big data storage drive continuous updating of high-speed computing, switching and storage devices including data centers, servers and optical modules. As computing and storage speeds continue to increase, computing and storage device in data center has increasing power density, resulting in higher heat dissipation requirements for equipment. Meanwhile, the radiation energy of device also increases due to high-speed calculations. In order to ensure the normal operation of big data processing equipment, it is necessary to carefully design and evaluate the heat dissipation scheme and EMC scheme of equipment. JONES has targeted thermal design and reliability design for high-speed computing equipment such as servers, SSD hard disks, optical modules and bitcoin mining machines, and also provides high-performance and low-cost thermal solutions and EMC solutions to ensure the reliability and safety of equipment at its run time. Jones Tech PLC is a materials solution provider for improving the reliability of intelligent electronic equipment. Since our establishment in 1997, we have independently developed and produced electromagnetic compatibility, electrically conductive, and thermally conductive products that meet our customer’s requirements. We are becoming known as the innovative supplier that responds quickly to customer’s changing needs.